● You can earn Plunge Points for every order you place. Every hundred points are equivalent to $1 credit, redeemable towards discounts on your next purchase. ● Since deals are updated on a daily basis, in general, you won’t need coupon codes to get discounts from PricePlunge—you just have to watch out for its featured item. ● You can browse through PricePlunge’s Past Deals to get a pattern of the items the site usually features. In turn, you can get an idea of what to watch out for in the future. 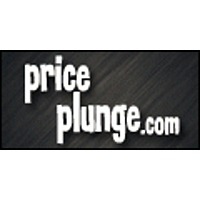 Price Plunge is an online site dedicated to individuals that are interested in taking advantage of deals for their everyday shopping needs. They have a variety of different deals for different products ranging from healthcare items to electronics. Every day they showcase a new deal that is an item substantially marked down from its regular retail price. All of the deals will eventually expire and/or sell out so customers only have a certain amount of time to take advantage of the low prices. They have games, unique fun items, bags, cases, home goods, and electronics available for sale on their site. For most up to date offers check out Priceplunge on Facebook and Twitter or contact Priceplunge Support for any questions.